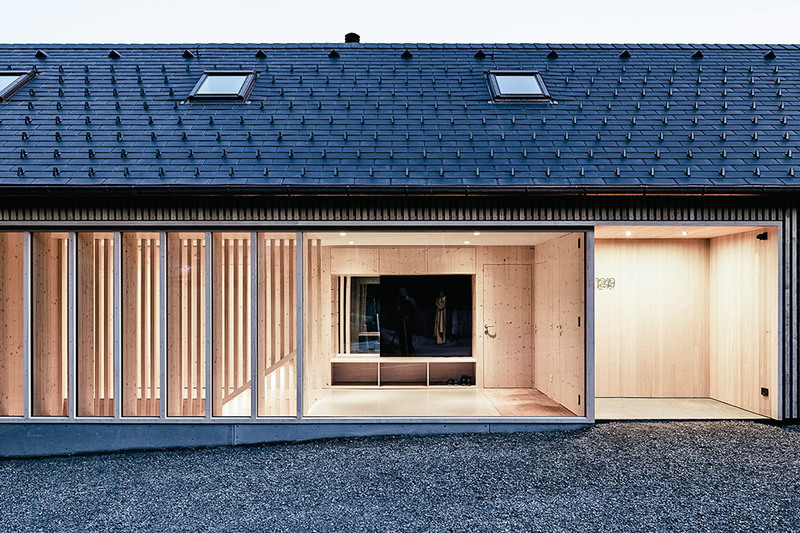 A wooden clad home isn’t anything out of the ordinary, but the Julia & Bjorn House uses a criss-cross pattern for a unique take on the classic facade. 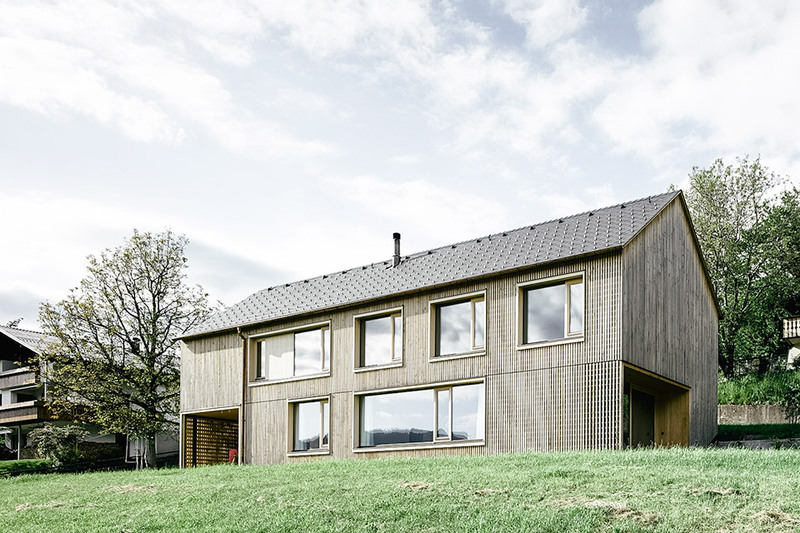 A timber lattice covers the entire exterior to add an airy texture to the outer shell, while also providing a layer of weather protection. 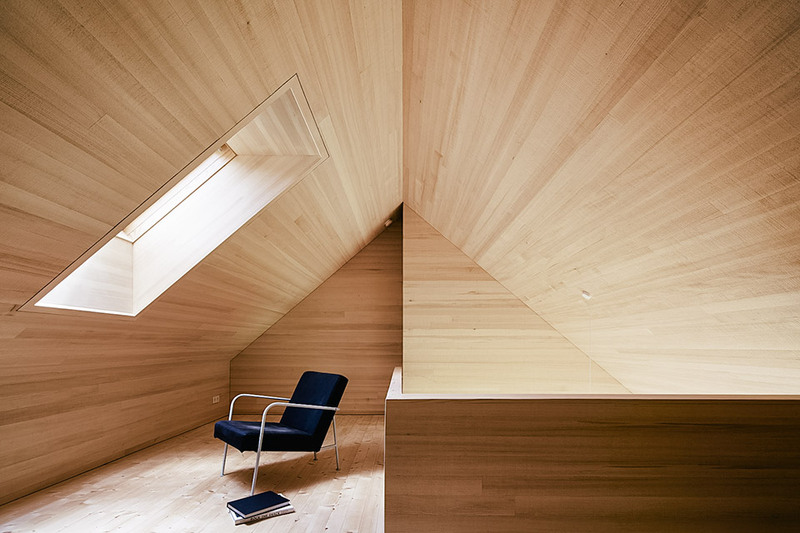 Keeping it’s natural finish, the interior of the home is lined with solid spruce taken from the nearby Bregenz Forest. To contrast the beige tones of the hardwood, hand-made plaster surfaces made from a powered grey marble, including an inset bench seat, were produced on-site. 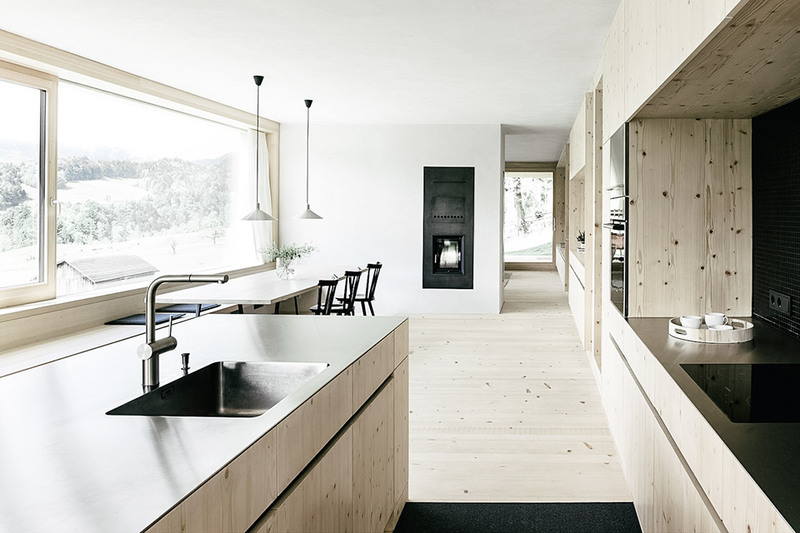 Glazed doors facing the east and west look out onto the Austrian hillside and lead to a pair of terraces, fenced in by a lime and walnut tree.